Hi everyone. I am updating my bio page here to let you know what I am up to now. I sorta retired last year. At present I am sailing my boat Angelsea around the Caribbean working as a tropical photographer. And also doing some documentation of areas that are getting over developed, before they get over developed. My crew consists of my wife Deb, Jack the sailing dog and Ludwig the parrot. Just so you know mt wife use to breed award winning poodles. She will be writing articles on pets for people on boats. So if your interested go on over to S/V Angelsea’s site and take a look. If you sign up for our newsletter you will receive periodic updates and discounts to my online gallery. I hope you join us. Having friends is a good thing. Angelsea and crew looking for photos in the Caribbean. Gary Felton is not only a photographer, but also a creative expert. Graduating at the top of his class and earning a degree in photography from Brooks Institute in Santa Barbara, California in 1973. Gary has accumulated over 30 years of experience as an advertising/commercial specialist. 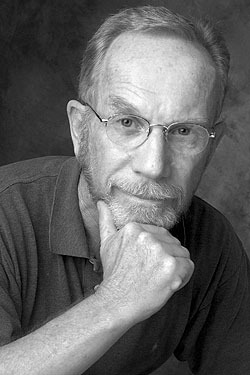 Opening an advertising photography studio In Los Angeles In 1974, Gary went on to be a well-regarded photographer for his advertising and architectural photography work. During the same period of time he also won 14 major awards for his underwater photography, a favorite pass time of his. His love of the sea finally brought him to the Caribbean In 1986. Here he operated charter sailing yachts and continued his photography of the sea. Gary Needed to be even more involved in photography. So Gary opened another studio here on St. Thomas in 1999. During his tenure here on the island Gary has gone on to win numerous gold medals from the Virgin Islands Ad Club, for not only his photography but also his design work. Gary has now opened an online gallery of his work in the Caribbean here. 5 photographs selected for the permanent loan collection by the Professional Photographers of America. Addy Awards 2000-2009 – 1 “Best of Show”, 8 gold medals, 6 silver medals for photography and design. Destination Weddings, US News and World Report, Destinations Magazine, Sailing, Cruising World, Power and Motor yacht, Yachting, Sport Diver, Art Navale (Italy), and Men’s Health. Plus many calendars and books. 14 awards for underwater photography: Los Angeles International Underwater photography Competition. Winner “Best of Show” twice and 4 gold medals. Plus two silver and a bronze. Dive Magazine International Underwater Photography Competition. Twice winner of “Best of Show”. Inner space International Underwater Photography Competition, Hawaii. Twice won “best of Show”, plus gold and silver medals. Gary sails his own boat, a Bristol Channel Cutter and is presently sailing the eastern Caribbean shooting photos for his online gallery. He regularly writes a blog about Angelsea here.